A climate change advisory group, disbanded by Trump, released their first report on Thursday. The Advisory Committee for the Sustained National Climate Assessment had a bit of a shaky start. It was launched in 2015 under Obama. It was then canceled when the Trump administration took charge and allowed its charter to expire in August 2017. Internal documents later retrieved via the Freedom of Information Act revealed members of the Trump team had been worried the committee was not sufficiently pro-industry. "It only has one member from industry, and the process to gain more balance would take a couple of years to accomplish," George Kelly, then deputy chief of staff at the National Oceanic and Atmospheric Administration (NOAA), wrote in an email dated June 13, 2017. But then Andrew Cuomo, the Governor for New York, stepped in. At his invitation, the group reconvened under a new alias: Science to Climate Action Network – or SCAN for short. This new group involves 12 of the original 15 members, plus an additional eight experts, and is being funded by Columbia University and the American Meteorological Society. Like its predecessor, its purpose is to help local government and community organizations use science collected through National Climate Assessments (and other sources) to help limit warning and prepare for any changes that are already taking place. Their report was written and compiled by almost 40 science and local government experts. "Local governments and communities need help to use climate science to evaluate how mitigation and adaptation opportunities interact with their broader goals," Richard Moss, the lead author of the report, said in a statement. "This new approach will make it easier to develop science-based pathways to address climate threats to local economic growth, infrastructure, and public health." The plan is to offer "a sustained, user-oriented process". The group intends to carry on supporting leaders and policymakers, providing technical advice (including on AI), recommending cost-effective measures when it comes to things like infrastructure and engineering, and assessing climate data sets to check their reliability. "While the federal government continues to deny climate change and ignore the dire need to strengthen the resilience of our communities, New York and the U.S. 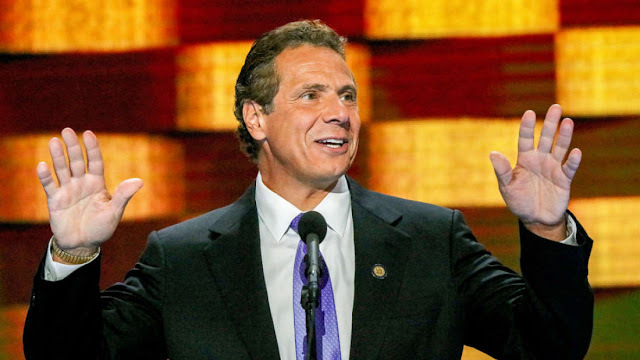 Climate Alliance are taking action," said Cuomo. "Last year we proudly reconvened the advisory committee to put a spotlight on this global catastrophe, and this report will provide important recommendations to communities across the country as we work to address climate change."